Salesforce.com is spreading its tentacles further into the world of social media marketing with the $2.5 billion (£1.6 billion) acquisition of cloud marketing platform ExactTarget. The company says the deal will pull together its sales, service and social marketing systems with ExactTarget's digital marketing capabilities, citing a worldwide switch to the latter in the field of consumer technology. It is also unabashed in declaring this as a step in being the world's leading customer relationship management (CRM) platform. 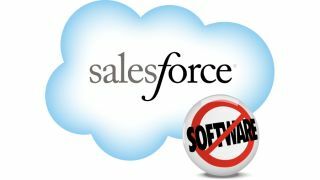 In April IT analyst Gartner said that Saleforce.com had replaced SAP as the world's leading CRM vendor. ExactTarget's platform makes it possible for marketers to integrate customer data from any source into digital marketing campaigns across multiple channels. It's used by more than 6,000 companies around the world. Marc Benioff, Chairman and CEO of Salesforce.com, said the acquisition will place it in a position to take advantage of a trend in which chief marketing officers are expected to spend more on technology than chief information officers by 2017. The move is the latest in Salesforce.com's campaign to exploit social media. In recent weeks it has announced plans for a CRM application to track internet comments, and launched a cloud service named Salesforce Communities that pulls together business data and social portals.